Honolulu Community College students are getting a rare opportunity to participate in a research project that takes them to the highest, wettest point on O‛ahu as their outdoor classroom. 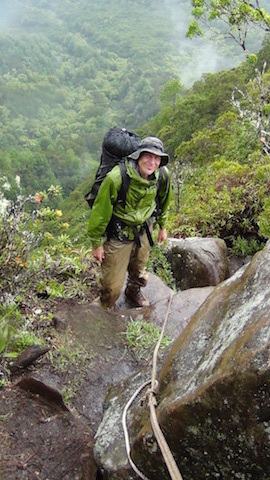 The Ke Ana Waiʻōpua project, led by Honolulu CC geography instructor John DeLay, allows students to participate in research and conservation work atop Mount Ka‛ala. 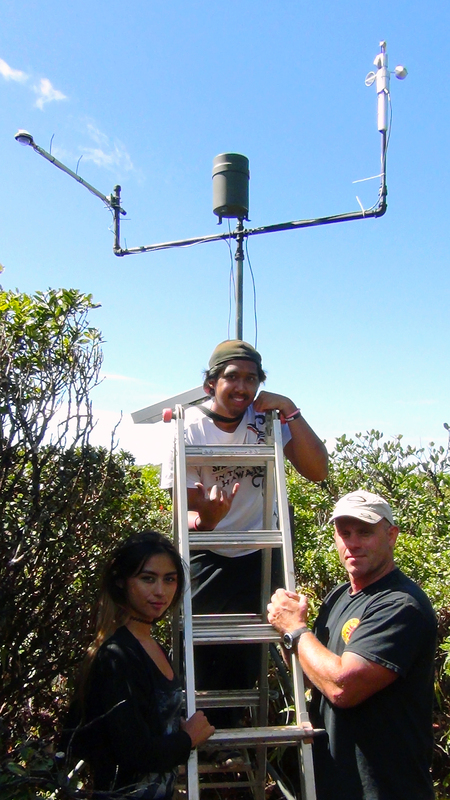 In September 2014, students Angelene King, Kevin Lamb, and John Allen Kahiau Miranda helped get meteorological equipment deployed and running on top of the mountain that will measure variables necessary to estimate forest canopy water balance. Duane Sula also helped prepare the station to weather Hurricane Ana and download the first data recorded from that system. “Students have the opportunity to use their experiences on the mountain and the gather data for their semester term projects. As the project develops there will be increasing opportunities for interested students to participate and visit the site for volunteer projects,” explains DeLay. 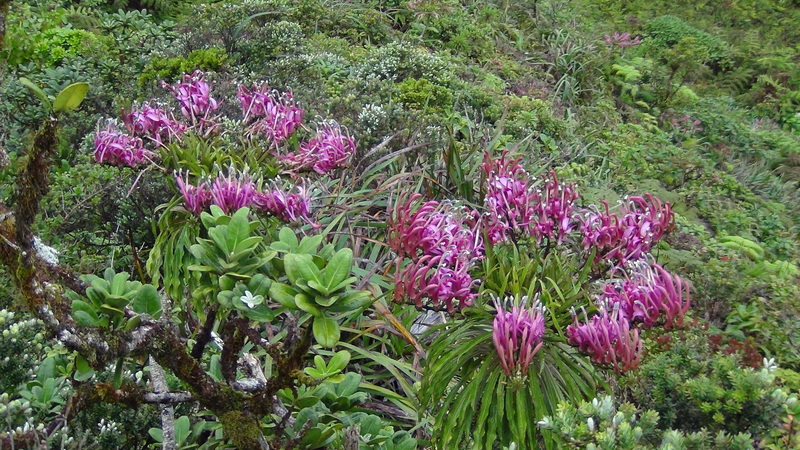 Cloud forest ecosystems are threatened by numerous global change factors, including shifts in the height of cloud formation, and temperature changes which may lend competitive advantages to invasive species. But the current canopy water balance conditions of Mt. Ka‘ala are poorly understood, in part because it is so remote. That is why the research being led by DeLay and aided by his students is so important. The Ke Ana Waiʻōpua Project will provide baseline conditions related to cloud frequency and forest water balance in the summit biological community and will measure the variables necessary to estimate forest canopy water balance atop Mt. Ka‘ala. This is a cooperative project between University of Hawaiʻi System faculty and Division of Forestry and Wildlife personnel. The investigative team is led by: John DeLay with cooperation from James Juvik, Emeritus Professor from the University of Hawaiʻi at Hilo, and Thomas Giambelluca, Professor from the University of Hawaiʻi at Mānoa, as well as Natural Area Reserves Commission Executive Secretary Betsy Gagne and Native Ecosystems and Protection and Management Oʻahu Manager Marigold Zoll. The project name translated means one that measures moisture in the clouds, and was chosen in consultation with Honolulu CC Assistant Professor Jerald Kimo Keaulana.